The Restricted line is like the old Coalition line that Burton had. Kevin was able to get his hand on a set of these and try them out on a few different boards. Here’s what he had to say about one of the longest running bindings in Burton’s line. Binding Adjustability: Tool less is getting a bit standard and this follows. Tool less straps, forward lean independent of highback rotation, highback rotation, toe ramp forward and back it adjustable with binding still mounted which is nice. You can switch the ankle straps between the bindings for a bit of different response, I assume this was an intentional design perk as the idea was suggested to me by one of the binding guys at SIA this year. Straps: On gnarlier toe side washouts I could get some top drift but other than that they stayed pretty well on my rounded smoothy toe boxes. Good conform-ability and should do well on 90% of boot shapes out there. The ankle strap is the asym strap that has been on the Restricted Cartels and Malavita’s the last two years. Its awesome. Ride it stock and you get a lot of good pressure distribution under the ratchet and a lot of strap to drive into. Swap them and you get similar pressure help but since the high flange is now on the underside you get a bit of a looser feel. It’s a really comfortable strap and has been one of my favorites for a couple years now. Perfect for my style of riding. Highback: Flat, a bit canted for the anatomical, and stiffer overall. Big thing here, FINALLY STOCK FORWARD LEAN IS ZERO. After years of begging they have finally complied and the zero lean is starting to trickle down from the Malavita and Cartel of last year. I was pretty happy with these highbacks, they did a decent job of being there when I needed them and not getting in the way when I didn’t want them. They were solid to drive into on the outside but it would have been nice to have a bit more give on the inside for the rail game. Binding Flex: ReFlex is the story here. I had criticized Reflex in the past as I felt the window wasn’t big enough to cater to those who ride with 15*+ on either foot. Since I ride 12/-12 now it wasn’t an issue and after some time you do start to feel the difference. That is the key though; they need a bit of braking in for the average weighted rider. A heavier rider will feel it sooner if not first run, but it took me a few good days to get them really bending under my feet. Once there they really do let the board flex under foot and the dead spot is virtually gone. It’s better for a skate-like feel and works best on some form of alternate camber so if your board isn’t designed to pop close to your foot this can lend to a small loss in snap. I found riding these on camber I missed having a more solid baseplate to get my energy out into the tip instead of under my foot. Reflex gives a good side effect here since the heel section is nothing but foam. The bindings footbed height is the same as non-reflex so you get a ton of foam where their flex windows land under your toes and heels. There is still plastic under the middle of your foot which helps avoid the soggy feeling too much EVA can give. 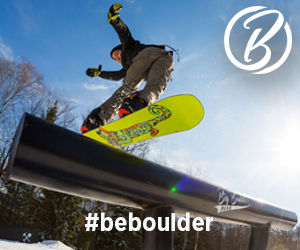 It’s a nice feel and unless you are looking for a ton of response from your bindings this is something you’ll like. Overall it’s a general middle of the road flex that sits somewhere in between park and all mountain. Ratchets: I had some typical sample issues with the toe teeth not gripping the ladder and stripping it, I’ve never seen this happen with a production ratchet from Burton so I suspect it won’t be a real issue. Other than that, they’re Burton ratchets, they work great all the time. Rider in Mind: All park rider who uses the whole mountain as his playground and is looking to kill the binding dead spot. Personal Thoughts: I rode these a lot this year and they’re a solid binding. Not my favorite I’ve ever ridden but I never thought while riding that I just wanted something else. They do their job and that’s it. You’ll probably never think to yourself while riding “these things are amazing!” but you’ll also probably never think “I hate these”. No frills, just the “extra” features that work. That’s kinda the way Burton does things. If the Cartel gets a change the old part gets moved down to the Mission. I think the glass blend in the Missions is alwasy softer than the Cartels and the Missions don’t have autoCant or B3 in the heels. Those are your differences. What do you recommend between the Cartel and Mission for someone who loves cruising the mountain but also wants to get into the freestyle/park game? I’m 180lbs riding a 156 park pickle with 32 lashed boot. Currently riding the Missions from 2009 and probably want something softer. If you suggest the Malavita, would you recommend regular or restricted (this year’s restricted has that Cobrashark highback that supposedly makes presses easier)? I would probably get the new missions although the new Cartel is softer. Sorry! I meant between the Malavita and Cartel. How much can a binding really improve your riding? Would/should/ they make a huge difference? Or should my current bindings suffice? If you recommend new ones, Cartel or Malavita? Also for a size ten boot, is it better to go with medium (sz 8-11) or large (10+)? My feet aren’t growing anymore. Cartel and you want the smallest size you can fit in. How much do tools help a craftsman? A good rider can ride anything but shouldn’t have to settle for inferior product. Hey dude quick question about the re:flex. Considering this year’s Cartel Restricted with Re:flex as an all mountain binding. You mention it works on hybrid camber boards best. How would it perform on something like the Lib Tech Attack Banana or a Capita FK like the Totally F’kn Awesome? Seems like it would do better than on a camber board but I’m wondering how it responds to camber underfoot on a hybrid all mountain board (or at least how you would guess it would). Think it’s going to give you a little added snap. I’m trying to choose some all-mountain-with-a-small-jump-now-and-then bindings. I’ve been looking into Burton Mission Restricted and also Drake Supersport (both from this season). Since you rode both, which one would you recommend? Besides these two, any other binding you would recommend? Thanks! Restricteds for sure as well as maybe something like the Rome Mobs. I currently ride the customs on a Ride TMS board. Lately i’m going faster down the mountain and i want to ride more powder (only just started this). My custom bindings are much too soft/flex and i need to work real hard. I would like a more stiffer binding with direct response. Which binding would you reccomend for 60/40 mountain/powder? No park. You definitely want to upgrade to something stiffer across the board. 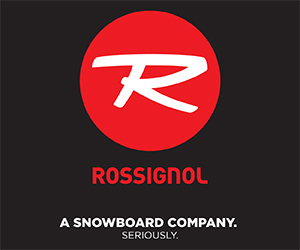 So K2 Company, Rome Targa, Burton Diode, Raiden Phantoms, or something along those lines. I’m a freerider about 90 percent of the day and 10 percent park. I was looking at the Burton Cartels, would they be okay? I have a never summer cobra board. Yeah if you don’t find them too soft I guess. You said these wouldn’t let you think “these things are amazing!” and they were not your favorite ever ridden. Which ones are your favorites everridden and which would let you think “amazing”? 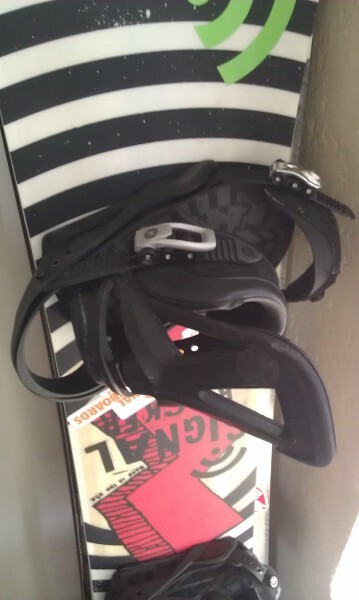 I have one question concerning UNION BINDINGS-FACTORY TRAVIS RICE 2013/14 bindings, i have at the moment Burton Mission Snowboard Bindings here is a link how it looks http://www.the-house.com/bt1mis04ir13zz-burton-snowboard-bindings.html#list_productreview?avad=55963_f6112dff&utm_source=avantlink&utm_medium=affiliates&utm_campaign=41227&netid=avant i also have Travis Rice snowboard PRO HP 2013 model and bought this year Travis Rice DC shoes, my question if i buy Union bindings what difference i will get going from Burton bindings to Union? Nobody answers me, what are the benefits in riding, do i will turn more easy i mean if i lean to right or left will i get better response i mean will my board going to react quicker than Burtons bindings? 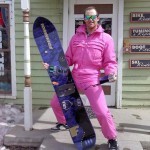 Is there any reason you’re buying head to toe Travis Rice stuff? It’s a binding they all pretty much do the same thing. The biggest difference is it’s not a unibody construction meaning you have a two piece design between the heel cup and the base tray. This changes the flex. Add to that metal on top of plastic and once again this changes the flex.